The big news in Chicago today is the deal to get Electric Auto Charging Stations placed throughout the Windy City by a California firm. By the end of the year the company will install some 280 EV Power Stations throughout the sprawling metropolis. This will put Chicago on the Electric Car rollout map, thanks to the manufacturer’s perception people are afraid of getting stranded without power unless the stations are everywhere. The reality is anywhere you can power an RV you can charge up most electric vehicles. When we spoke with Ricardo Reyes of Tesla last year he said they drove one of their roadsters from California to Chicago simply by stopping a KOA campgrounds all along the way. Not only that, but power stations have been popping up all over the globe. San Jose has bidirectional solar power stations that can both feed power into the local grid or into a plug-in vehicle on demand. Solar panels made by Evergreen Solar, Inc. are powering stations in Frankfurt, Germany that recharge Velotaxis, Segways, electric bikes and scooters. In Brazil, they have begun installing roadside solar power stations in a particular neighborhood of Rio De Janeiro. 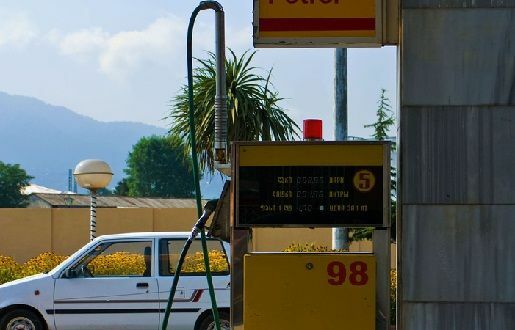 While the eventual conversion to electric cars may bring about the end of the traditional gas stations it will create a new kind of social gathering place. Like the West Virginia McDonald’s that has two power stations. It’s in Huntington and McDonald’s is wisely pairing this service with their new outlets because it takes a little longer to juice up an electric car than it does to fill a gas-consuming car with petrol. Thus, even Starbucks has probably taken notice and is planning a new kind of gathering place complete with power hookups, Wi Fi and their famous java. The fastest power stations will charge your electric car in about the time it takes to drink a cup of Joe. Welcome to the brave new solar and electric world of the 21st century.